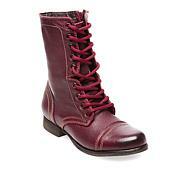 Re-boot your full-coverage footwear collection with a design that's a little bit country and a little bit rock n' roll. 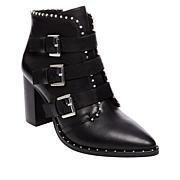 The classic ankle boot silhouette is upgraded with a soft, suede exterior and metal stud accents. 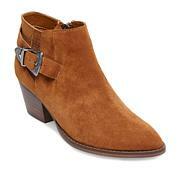 A chunky block heel and superior fit details add comfort to this must-have, everyday boot. 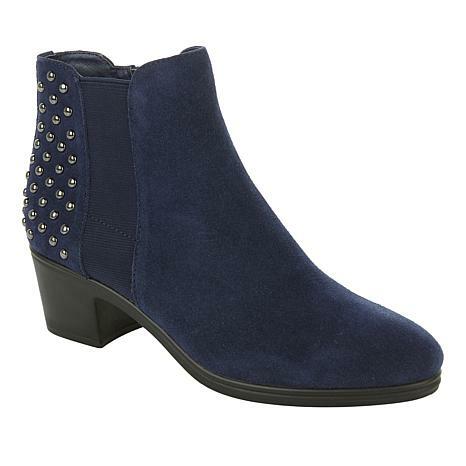 Love this bootie. Fit is perfect and comfortable. These are a terrific looking shoe I purchased as a gift. I like them, hope the recipient does too. Will know better after Christmas. They are so comfortable!! I love how they fit and look. This boot is well worth the money! The suede is of very nice quality and the detailing is so cute! The inside is nice and supportive and cushiony.